Apple is set to announce record-breaking earnings tomorrow for its 2014 holiday quarter. Apple projected making $63.5 billion to $66.5 billion in revenue, but Wall Street’s consensus is that the company will blow past its own guidance and report revenue closer to $68 billion. That’s about $20 billion more than Google’s last three quarters of revenue combined. Growth will likely be fueled by strong iPhone sales, although the Mac is also projected to reach record sales. Fortune polled 35 industry analysts to reach an average prediction of $68.3 billion in revenue, which would mean very healthy growth at 21 percent year over year. Apple’s holiday quarter has traditionally been its strongest, while the fall quarter typically lulls with slower growth. When Apple executives join a conference call with investors to discuss earnings tomorrow, the main focus will likely be how well the newest iPhones did during their first full quarter of availability. The average analyst projection is 66.5 million iPhones sold, which would far surpass last year’s record of 51 million iPhones sold. Reputable Apple analyst and rumor monger Ming-Chi Kuo is a little more bullish on iPhone sales. 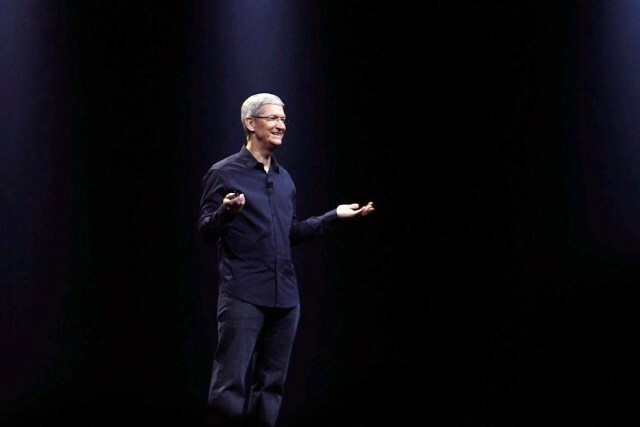 He’s projecting a staggering 73 million iPhones sold. While such a high number is less likely, it goes to show how high expectations have been set. IDC’s research showed that Mac sales last quarter grew 28.5 percent year over year, which is impressive given a 7.5 percent drop in overall PC sales. Independent analyst Neil Cybart is predicting 6 million Mac sales, up from 4.8 million Macs sold in the same 2013 quarter. The wild card for tomorrow’s earnings is the iPad. Apple’s tablet growth has been declining, and with this year’s models proving to be less notable upgrades, the company could report another less-than-stellar quarter. 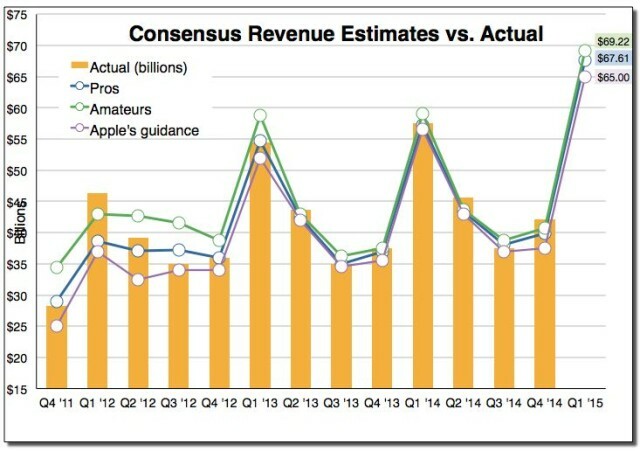 But 66 million-plus iPhones sold should eclipse most worry about iPad growth … at least until next quarter. What we don’t expect to hear much about tomorrow is Apple Watch, given that Apple likes to wait for flashy media events to announce details like pricing and availability. Cult of Mac will be providing live coverage and analysis of Apple’s earnings call tomorrow, so stay tuned.